Green tea & Rooibos blend. 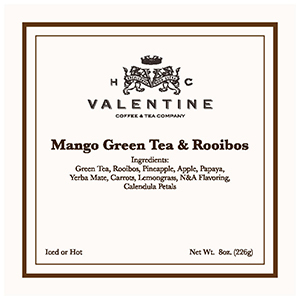 This is an exotic creation of candied papaya, apple and carrot bits brightened with choice green teas, Rooibos and Mate. This fusion creates fabulous flavors of the sun to be served hot or iced.